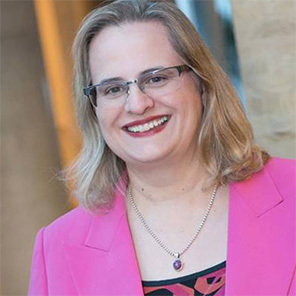 Natalie Stoianoff is a Professor and Director of the Intellectual Property Program at the Faculty of Law, University of Technology Sydney, since 2008. She is the Chair of the Indigenous Knowledge Forum Committee, member of the UTS Commercialisation Advisory Panel, and is currently Co-convenor of the Technology and Intellectual Property Research Cluster and past convenor of the China Law Research Group. Natalie’s interdisciplinary research is concerned with new technologies including the legal, ethical and commercial aspects of biotechnology with research interests ranging from the Patenting of Living Organisms, Software and Business Methods, Protecting Traditional/Indigenous Knowledge and Culture, Technology Transfer to Environmental Taxation. As a joint recipient of an Australian Research Council (ARC) Discovery Grant (2005-08), Natalie investigated Intellectual Property enforcement and awareness building in the People's Republic of China. She has had industry funding to investigate the Role of Patent Protection in Key Australian Industries and the Contribution to Economic Development (2010-12), and led an Indigenous Knowledge Forum project on Recognising and Protecting Indigenous Knowledge associated with Natural Resource Management (2013-14), funded by the Aboriginal Communities Fund of the North West Local land Services. The White Paper produced by that project led to the award of an ARC Linkage Grant (2016-19) for the project - Garuwanga: Forming a Competent Authority to Protect Indigenous Knowledge – which is exploring the governance framework for an access and benefit-sharing regime. She is the author of numerous publications including: a co-author of the Federation Press publication, Intellectual Property Law: Text and Essential Cases, adopted by several Australian universities and now in its fifth edition; editor of and author in the multidisciplinary book, Accessing Biological Resources, Complying with the Convention on Biological Diversity, published in 2004 by Kluwer Law International Environmental Law & Policy Series; and currently the managing editor of the newly formed Lexis Nexis series for the Indigenous Knowledge Forum. Natalie’s tax research has led to membership of the Critical Issues in Environmental Taxation Editorial Review Board. Currently, she is the Lead Editor of 2 publications from the series (August 2016): Volume XVII, Green Fiscal Reform for a Sustainable Future - Reform, Innovation and Renewable Energy, and Volume XVIII, Market Instruments and the Protection of Natural Resources. Natalie is a Chartered Tax Adviser of The Taxation Institute and a member of the NSW Board of the Australia China Business Council for 15 terms including as Vice President and Chair of the Education Sub-Committee. Currently, Professor Natalie Stoianoff is the Lead Chief Investigator in the Australian Research Council Linkage Project - Garuwanga: Forming a Competent Authority to protect Indigenous knowledge. As a joint recipient of an Australian Research Council Discovery Grant, Professor Stoianoff has investigated Intellectual Property enforcement and awareness building in the People's Republic of China. Stoianoff, NP, Chilton, F & Monotti, AL 2018, Commercialisation of Intellectual Property, First, Lexis Nexis Butterworths, Chatswood, Sydney. This important new book takes an integrated approach to the legal, business and technical aspects of the commercialisation of intellectual property in Australia. The expert commentary examines much of the law and some of the business and economics of commercialising and licensing intellectual property rights in an interdisciplinary and comparative context. Topics addressed include the international trade context of intellectual property rights and their role in driving innovation, funding and development of intellectual property in the private and university sectors, identifying appropriate legal structures for the business of commercialising intellectual property, licensing intellectual property including the special case study of multimedia, intellectual property as security, insolvency, and the taxation of the intellectual property life cycle. Natalie Chilton Stoianoff Fred Monotti, A, Chilton, F & Monotti, A 2016, Commercialisation of Intellectual Property. Written by authoritative authors from different jurisdictions and disciplinary backgrounds, Commercialisation of Intellectual Property is the only Australian book on the topic. Stoianoff, NP, Roy, A & Reynolds, R 2015, Intellectual Property - Text and Essential Cases, 5. Reynolds, R, Stoianoff, NP, Adrian, A & Roy, A 2012, Intellectual Property: Text and Essential Cases, 4th, The Federation Press, Sydney. Reynolds, R & Stoianoff, NP 2003, Intellectual Property: Text and Essential Cases, 2, The Federation Press, Australia. This text written with Associate Professor Natalie Stoianoff of UOW, has been set at the prescribed text at the University of SYdney, Melbourne University, the Australian National University, Macquarie University, University of Adelaide, Newcastle University, University of New England, University of Tasmania, Charles Darwin University, University of Wollongong and UTS. In addition, it is a recommended text at most other Australian Law Schools and has been widely adopted and favourably reviewed by the profession. The text takes a istinctive approach to the teaching of the subject by focussing on the discursive practices of Australian intellectual property law. As European and US law turn more to their constitutional underpinnings to understand the understand the function of IP law, Australian courts continue ti patrol the proper boundaries of property rights. This has given Australian IP law a very particular character. The distinctiveness of this approach is recognised by His Honour Mr Justice Gummow of the High Court of Australia who wrote the foreword to the first edition of the text. Such acclaim is particularly appreciated as Justice Gummow is considered one of the leading intellectual forces on the High Court in the profession and in academia. As an academic at the university of Sydney, Justice Gummow was also one of the founding fathers of IP studies in Australia. This article examines the Delphi method as a tool for legal research that can be used to facilitate transparent and informative policy-making in a variety of fields including tax policy. It points to strengths and limitations of the technique based on the findings of the Delphi study conducted to assist in the assessment of fiscal and more general market-based instruments (referred to in this article as carbon pricing instruments) that could be used to tackle climate change in Australia. Whether the Delphi method is utilised in empirical or theoretical legal research or in legal and policy decision-making, this article demonstrates the strength of the technique in providing transparent and justified results, which in turn reinforces the utility of the method as a legal research and/or decision-making tool. Stoianoff, NP & Roy, A 2015, 'Indigenous Knowledge and Culture in Australia — The Case for Sui Generis Legislation', Monash University Law Review, vol. 41, no. 3, pp. 745-784. Together innovation and intellectual property play a significant role in industrial growth. However, in the field of information technology, much controversy surrounds the patenting of software and business methods. There are claims of stifling innovation on the one hand and equally claims of significant national economic benefit on the other. This article analyses the state of play in these related controversial fields of technology providing a background to the Australian software industry drawn from `whole of industry studies and the authors own empirical research into Australian patent ownership. The meaning of patentable subject matter and the ability of software based inventions and business methods to gain patent protection are considered across key jurisdictions. A critical analysis of case law across those jurisdictions will make plain the difficulties encountered by the courts in being able to identify where to draw the line between patentable and non-patentable subject matter. Arguments for and against patentability will be weighed in the context of the purpose of the patent system and in the light of the Raising the Bar amendments to the Australian patents regime. Australia is a party to a number of international treaties and declarations which recognise the significance of traditional and Indigenous knowledge and cultural expressions, and emphasise the need to respect, preserve and maintain knowledge, innovations and practices of Indigenous and local communities. For example, the Convention on Biological Diversity 1992 (CBD) provides member nations with the opportunity to establish regimes that would regulate foreign and domestic access to valuable genetic resources and traditional and Indigenous knowledge while establishing benefit-sharing mechanisms relating to that access. The CBD has also led to significant international debate on the interrelationship with intellectual property rights, particularly patent rights and plant breeders rights, which are often the end goal of the desire to access such genetic resources. This article commences with a brief history of China's intellectual property policy and international relations over the past 150 years. China's engagement with the western construct of intellectual property rights is strongly aligned with China's international trade relations. In particular, this article will consider the influence of the enquiries into transparency that followed China's first review after accession to the WTO and then the dispute resolution process initiated by the United States specifically on issues of intellectual property enforcement. Despite the numerous international treaties and agreements on intellectual property rights that exist and to which China acceded in the early days of the Open Door Policy period, it was the need to become a member of the WTO and with that the expectation of compliance with the prescriptive requirements found in the WTO Agreement on Trade Related Aspects of Intellectual Property Rights ("the TRIPS Agreement") that provided the greatest influence on the shaping of China's intellectual property regime today. Recent developments highlight a counterpoint in China's engagement with the TRIPS Agreement. This is indicated in China's willingness to align itself with the views of developing nations in the way that the TRIPS Agreement is interpreted and this is most evident in the recent Patent Law amendments which demonstrate China's desire to be an innovator, not a copier. Australia's commitments under the Kyoto Protocol - proposed introduction of carbon pricing in Australia - policy options for establishing a carbon price - relative merits of carbon taxes and emissions trading - barriers to change within the Australian taxation system - argument that tax expenditure reform should be a key element of all market based responses to climate change. despite the presence of excellent laws on the books, the enforcement and protection of [intellectual property rights] in China fall well below that provided for in its domestic laws and mandated by those international agreements to which China is a party. Intellectual property provisions and trade marks consideration in the proposed Australia-China Free Trade Agreement - significant implications for Australian interests. Stoianoff, NP 1998, 'Access to Australia's Biological Resources and Technology Transfer', European Intellectual Property Review, vol. 20, no. 8, pp. 298-305. Australia had actively participated in the 1992 Earth Summit in Rio de Janeiro, endorsing the Summit goals which were formed by the desire for sustainable development. Australia also joined the United Nations Framework Convention on Climate Change and much later signed the Kyoto Protocol enthusiastically supporting greenhouse gas reduction. A range of measures aimed to reduce Australia's greenhouse gas emissions have been on the agenda at the Federal and State level for the last two decades. Until recently, successive Australian governments have been committed to the introduction of a carbon tax or an emissions trading scheme designed to mitigate climate change. This paper examines the historical progress of Australian climate change policy including the implementation of the present Australian Government's Direct Action Plan. The article in particular observes several interesting and significant aspects of Australian climate law highlighting governmental approaches and processes leading to the introduction of those laws. The historical perspective is necessary to identify most common features of the climate law implementation procedures and to identify what political factors influence these processes in Australia. Examination of the Australian climate change regime indicates how different actors influence policy proposals to achieve their own goals, rather than to cooperate in a process of generating the best overall legal option. This paper concludes that the development of climate law in Australia required some innovative and responsive law initiatives. However, the practical implementation of various climate change laws had been constantly impacted by various economic and political factors. This paper sets out the way in which Indigenous ecological knowledge has received increasing recognition as a holistic mechanism through which Australia's natural resources can be sustainably managed. This increased recognition and consequent utilization needs to take place within a legal framework that acknowledges and respects the customary laws and rules of the Indigenous ecological knowledge holders and provides appropriate benefits back to the those knowledge holders. This paper considers the nature of such a legal framework and reports on the research conducted by the author and her research team, through the use of action research and Indigenous research paradigm methodologies, in developing such a legal regime that encapsulates the principles established in the Convention on Biological Diversity 1992, expanded in the Nagoya Protocol to the Convention, and reinforced in the United Nations Declaration on the Rights of Indigenous Peoples 2007. The result was a White Paper espousing a sui generis legal framework of recognition and protection Indigenous knowledge associated with natural resource management focussed on the Aboriginal Communities of the state of New South Wales in Australia and accordingly reflects the concerns and interests of those communities while incorporating the international law principles described above. This was achieved through an initial comparative analysis of regimes already in existence in other nations, the establishment of a highly skilled and multidisciplinary Working Party representing both Indigenous and non-Indigenous individuals and stakeholders, and finally through Aboriginal Community consultation. This chapter utilizes a policy evaluation study as an example of the utility of the Delphi method in climate change policymaking. In this study the Delphi method assisted in prioritizing the criteria used in the evaluation. The need for policy evaluation is not only emphasized within environmental research but also policymakers and administrators are more frequently articulating the necessity for environmental policy evaluations. This chapter discusses the Delphi method as a useful instrument in environmental policy research. Based on the findings of the Delphi study conducted to facilitate climate change policies assessment in Australia the authors analyse the strengths and limitations of the method. Commercial law plays a large part in China's transition to its status as a major trading nation. This book contains chapters that focus on areas of the law pertinent to China's continuing economic development. It provides an analysis of the Five Year Plans and their effect on the development of and changes in commercial law. China is focused on developing its internal market and Commercial Law of the People's Republic of China provides an examination of a number of highly relevant topics, such as Company Law, Labour Law, Property Law, Intellectual Property Law, Consumer Law, Energy Law and Renewable Energy Law. Chapters on Tax Law, Competition Law and Policy, and Commercial Arbitration Law written by experts in their field provide an up-to-date and in-depth coverage of other important commercial law subjects. This book acknowledges that China's rapid development is affected by policy changes on issues such as urbanisation, the structure of the industrial sector and the environment. These changes and their effect on the national economy and the legal system are discussed in the book. Compliance and enforcement are critical elements of assuring that international environmental treaties and domestic environmental laws actually produce desired environmental outcomes. This timely work provides a comprehensive worldwide perspective on how to assure compliance with and enforcement of environmental laws more effectively. Bringing together both leading academics and environmental professionals from 15 countries, the book addresses a range of key issues including the enforcement of multilateral agreements, compliance strategies and tools, the role of courts and citizens, protection of natural resources, and compliance issues related to economic instruments. This comprehensive resource will strongly appeal to environmental enforcement professionals working for governments or international organizations, who are seeking new ideas for compliance and enforcement programs. Academics researching environmental law and international affairs will also find this book valuable. This chapter will consider recent regulatory responses to climate change in Australia with a view to providing guidance for policy makers in the East Asia region. In particular, it will review the reasoning behind the choice of emissions trading ahead of other market-based instruments such as behavior modifying taxes and tax expenditure reform. It will firstly describe the key international agreements on climate change. Secondly, it will provide a review of the key literature in support of market -based instruments including the relative merits of carbon taxes and emissions trading. Thirdly, the chapter will review the history of regulatory responses in Australia at both Federal and State government levels, leading up to and including the proposed Australian emissions trading scheme, known as the Carbon Pollution Reduction Scheme (the CPRS). Fourthly, the chapter will review features of the underlying taxation system which constitute significant "barriers to change" which are very likely to undennine the intended objectives of the CPRS. The chapter concludes with some suggestions for emerging economies of the East Asia region on how taxation rules can be integrated with climate change objectives. Sustainability, as a concept, gained momentum as international non-government organizations developed the term. The United Nations' Brundtland Report is credited with first referring to sustainability as having three necessary and coexisting components being, environmental, economic and social sustainability. International accounting professional institutions also responded to this momentum, at first with an in principle adoption of the term. As sustainability reporting accompanied financial reporting, the concepts of business were also imposed on the term. The objective of global equity was surpassed by financial terminology which also prioritized concepts of risks and opportunities to explore market potentials. TheConvention on Biological Diversity1992 (the Biodiversity Convention) has 13.01 asitsprimary objective the conservation ofbiological diversity;' Running a dose second is the objective of sustainable use of biological divcrsity.2 Simultaneous achievement ofsuch objectives often runs contrary to the desires ofJarge landowners in Australia, particularly when such landowners are engaged in primary production industries. It is well recognised that environmentally related taxes play a crucial role in the mix of economic instruments used to enhance environmental policies in OECD countries." In general terms, economic instruments "provide an incentive to polluters to modify their production or consumption behaviour via price signals"," This affords ,1 significant difference from traditional and familiar 'command and control' environmental regulation. The use of environmentally related taxes is also in line with 'he 1972 OEeD concept of the Polluter Pays Principle (PPP), defined by the OEeD as a non-subsidisatlon prmciple.' It concerns who should pay for environmental protection by ensuring that the cost of pollution measures is reflected in the price of goods and services that cause the pollution.'! There is nothing like this mechanism at the local government level in New South Wales, the most populated state of Australia. Although tax concessions are considered contrary to the Polluter Pays Principle,' in Australia, the state-based command and control mechanisms requiring the rehabilitation of mining sites have been supplemented by special income tax deductions for expenditure on such rehabilitation. While this is a departure from the fundamental premise that a tax system be neutral, often such incentives are used in recognition that certain classes of taxpayers, such as the natural resources industry, have special circumstances that require accommodation. But does this achieve environmental objectives? Historically, taxation policy has been used by the Australian Federal Government 10 encourage environmental responsibility in the natural resources industry. These taxation policies are consistent with a recent DECO' report (the DECO 2001 Report] which urges the US!! of environmentally related taxes by member countries to "provide an incentive to polluters to modify their production and consumption behaviour" Whilst the DECO recognizes a range of economic instruments, such as "tradable emission permits ... performance bonds, non-compliance fees",3 in this paper, we consider taxation policies for companies specifically related to rehabilitation of mining sites. These policies have manifested into fiscal instruments in the nature of tax concessions but are often referred to as tax expenditures, The effectiveness of such fiscal instruments in complementing environmental policies can be measured according to the criteria provided by the DECOin an earlier report, Taxation and the Enviromnent Complementary Policies (the DECO 1993 Report).i In that report the OECD points out that tax policies and environmental policies ought to be "mutually reinforcing". The aim of this work is to explore how the concept of shape can be applied in the context of Intellectual Property Law (IPL). Despite the global nature of IPL, the system is plagued with considerable uncertainty, especially in the specific instrument of patents. We believe the shape concept can find a balance between the inventive ideas, patent claims and objects in the world. The outcomes of this can then be measured as a time-dependent expectancy that an invention will conform to legal rules when under examination by officials. Specifically, we establish an empirical-based benchmark which can be utilized to test whether shape (via visual figures) is useful in reducing the uncertainty (measured via number of examination actions) which an applicant might face in patenting technological ideas. Stoianoff, NP 2007, 'Environmental Fiscal Instruments and the Development of the Environmental Management Services Industry in Australia', Eighth Annual Global Conference on Environmental Tax, Munich, Germany. Stoianoff, NP 2007, 'Economic Incentives for Ecological Gifts: A comparison of conservation covenant incentives in Australia and Canada', 19th Annual Australasian Tax Teachers Association Conference, TC Bernie School of Law, University of Queensland. This paper will present the preliminary findings of a research project into the impact of legislative legitimation of environmental damage on corporate governance in multinational companies and on public governance in the nation state. The environmental devastation of the Ok Tedi mine in Papua New Guinea (PNG) will be the focus of the paper. Stoianoff, NP 2006, 'Convergent Law, Divergent Behaviour: The Enforcement of Intellectual Property Rights in the People's Republic of China', The Development of Law in Asia: Convergence versus Divergence?, Asian Law Institute, East China University of Politics and Law, Shanghai, China, pp. 967-972. Stoianoff, NP 2006, 'China and the Protection of Intellectual Property', China: The New Legal Scene: Opportunities and Risks, Centre for Continuing Legal Education, University of New South Wales, Kensington, New South Wales. Stoianoff, NP 2006, 'Legislation, Citizens' Rights and the Self Determination of a Developing Country: A Case Study', IUCN Academy of Environmental Law 2006 Colloquium, Implementing Environmental Legislation: The Critical Role of Enhancement and Compliance, Pace University School of Law in White Plains, New York. Stoianoff, NP 2006, 'The Problem of Intellectual Property Enforcement in China: a cultural issue or just a stage in the making of a new Superpower? ', UNSW School of Law Seminar Series, University of New South Wales. Stoianoff, NP 2003, 'Biological Resources and Benefit Sharing - the intersection between Traditional Knowledge and Intellectual Property', International Association for the Advancement of Teaching and Research in Intellectual Property (ATRIP) Congress, Tokyo, Japan. Kaidonis, MA & Stoianoff, NP 2003, 'The Polluter Pays Principle and Rehabilitation of Mining Sites: Facing Responsibilities or Transferring the Cost', Fourth Annual Global Conference on Environmental Taxation Issues, Experience and Potential, Sydney, New South Wales.